Whatever is due to you will come on its own. And what is not due to you will never come to you – no matter how hard you try! A feeling that causes much of our suffering is the one where we feel we “deserve” something. Seeking deservance is a natural human tendency. Most of us are hard-working, sincere and honest folks who believe that whatever we do must be compensated fairly and our contributions must be both recognized and rewarded. But this does not always happen in Life. Things we don’t ever want to happen to us, just happen to us, no matter how good or ethical we have been, and we feel Life’s being unfair to us. But through a rather inscrutable design, even if something’s delayed, and if it is due to come to you, it always comes. There’s no denial ever in Life. Can you imagine? 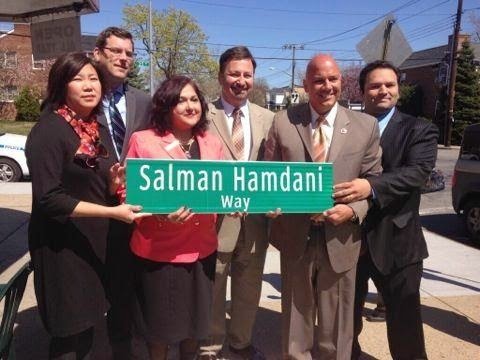 Someone who goes in to help, ends up sacrificing his Life, but is named a terror suspect but, years later, a Street is named after him – something that will stay on for posterity? Bizarre isn’t it? But such is Life!